We offer comprehensive Samsung Galaxy S9 insurance at great prices, with an experienced in-house customer care team. The Samsung Galaxy S9 and S9+ are the latest additions in a long line of high-performance smartphones from the South Korean electronics giant. 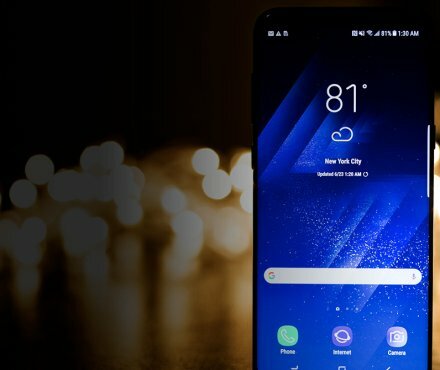 They may look similar to the S8 series, but the S9 is packed with the latest software and hardware upgrades – including the Intelligent Scan biometric system, innovative AR Emojis, and the best smartphone camera on the market. The S9 and S9+ certainly show the best of what Samsung has to offer; it’s clear to see improvements have been made based on feedback from the S8 line. But even top-of-the-range smartphones are prone to damage. 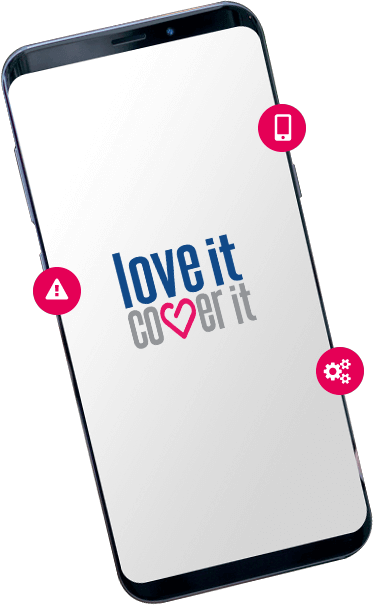 Luckily, loveit coverit specialises is mobile phone insurance – with almost 30 years’ experience in the industry, we can help you care for your Galaxy S9 or S9+. We'll be comparing Samsung Galaxy S9 and S9+ insurance across the market to make sure we bring you the most comprehensive policies at the best prices. Accidents happen. But when they happen to your Samsung Galaxy S9, our comprehensive cover gives you peace of mind and financial reassurance. Nothing attracts water quite like high-tech gadgets. Protect your Galaxy S9 against liquid damage and we’ll get it repaired or replaced. We can help you protect the accessories that allow you to enjoy your Samsung Galaxy S9 - like headphones, chargers and cases - if they get damaged or stolen. Airtime abuse can be a concern if your device gets stolen. Our Samsung Galaxy S9 insurance covers the cost of unauthorised calls made following the theft of your phone. Following one of the biggest events in the smartphone calendar, eager consumers can now get their hands on what’s said to be one of the best handsets of 2018. As of today, March 16, the Samsung Galaxy S9 and Galaxy S9+ are now on sale worldwide. The latest smartphones from the Korean electronics giant are available to buy outright or on contract with all major carriers. But how much does it cost? What's changed? And how does it compare to other smartphones on the market?